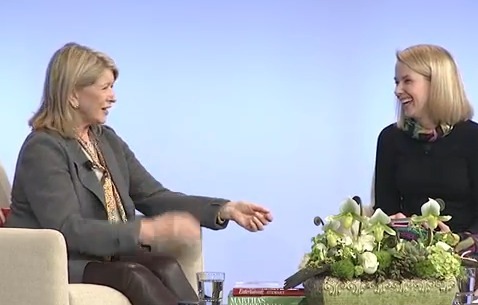 Domestic doyenne Martha Stewart stopped by Google to chat with Marissa Meyer for their @Google Talks series, discussing her new cookbook, her feelings on mobile publishing and how to engage a web audience. “Find the niche that interests you and interests others,” Stewart advised the live and Web audience. Fill it with quality content, she added and then keep up with it and always explore its new extensions. She recounted how Martha Stewart Living Omnimedia explored as many avenues of new media and product extensions it could.